Very nice carpeted floor mats. 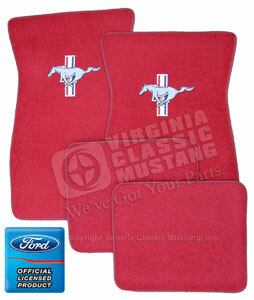 Front mats have detailed four-color, embroidered running horse emblems. Available in colors to match our carpet. Please choose color above.